Detroit Mayor Mike Duggan is due to bring a suit against Michigan’s costly no-fault auto insurance laws to federal court on Thursday–and many expect he may not walk away unscathed. Detroit Mayor Mike Duggan is taking a lawsuit against Michigan’s high auto insurance rates to federal court on Thursday. Because of no-fault protections, Michigan has some of the highest car insurance premiums in the country. For Duggan, the matter’s personal: Detroit, despite its contemporary hardships, has premiums which are inflated even by state standards. Many Motor City residents opt to drive uninsured rather than sacrifice hundreds of dollars per month for basic coverages. But Thursday’s hearing will deal primarily with a motion to dismiss. If a judge allows the litigation to continue, there’s another petition to back the case down from federal to state course. The Detroit Free Press notes that the defendant is named as Michigan’s insurance director. The state Attorney General’s Office has moved to dismiss. Along with the A.G., Duggan’s critics include fellow Democrats in the state legislature. Many have questioned whether no-fault reform would actually reduce auto premiums. Others say Michigan residents may be enticed by low rates with less coverage, only to find themselves insolvent after an accident. 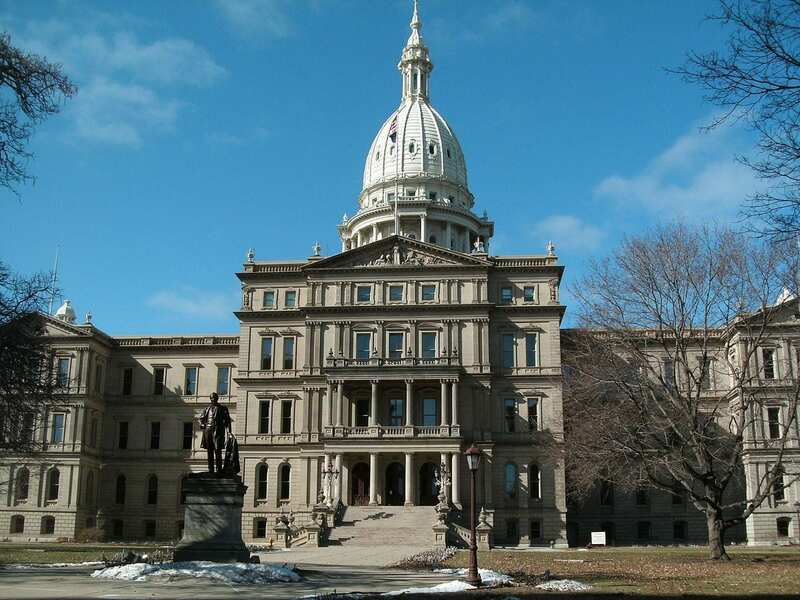 Michigan, notes the Free Press, is the only state which requires consumers purchase potentially unlimited lifetime medical benefits as part of their mandatory car insurance coverages. While some legal experts believe the suit’s likely to be dismissed, it hasn’t stopped the initiative’s critics from coming out in force. Aligned against Duggan’s endeavor are medical providers, patient advocates, trial lawyers and the insurance industry. Most critics say they want to see premiums lowered, albeit not at the expense of patient well-being. Attorney Arthur Liss, speaking on behalf of ‘six Michigan residents who were catastrophically injured in auto accidents,’ gave voice to his clients’ concerns. The Insurance Alliance of Michigan says the industry isn’t opposed to making changes but says the matter should be resolved by the state legislature rather than a lawsuit. Attorney Wayne Miller, who works with the Michigan Trial Lawyers Association, told ClickOnDetroit.com there’s a possibility Duggan’s case will take a hit. “I think it’s plausible the lawsuit will be dismissed tomorrow, or at some point in the future,” Miller said, noting that Duggan, a Democrat, was once forced to collaborate with Republican lawmakers in finding a legal fix for sky-high premiums.